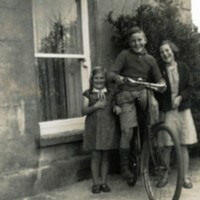 A photo of Maisie McNailly with her brother and sister outside their home playing with a bicycle. 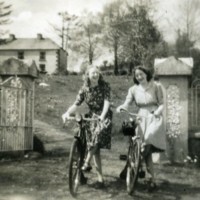 This is an image of Avril Patterson aged about 14 with her friend on their bicycles. 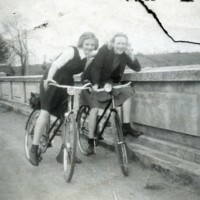 This is an image of Avril Patterson aged about 16 with her friend and they are getting ready to cycle off. 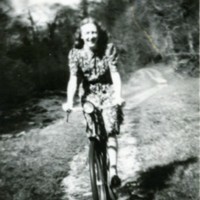 This is an image of Avril Patterson about 17 years old out cycling on her bicycle.